Robert Collins Gallagher was born July 7, 1948 in Newton, Massachusetts. 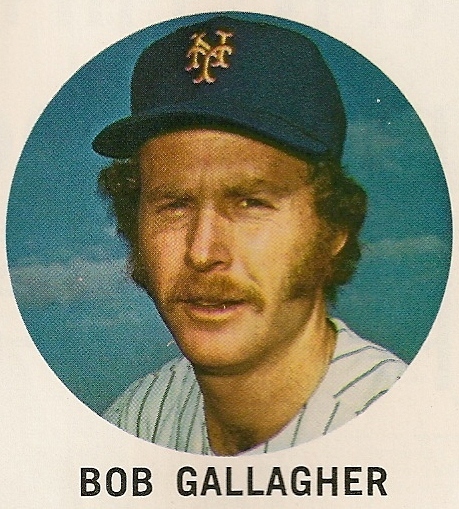 Gallagher comes from a long line of pro baseball players dating back to the early 20th Century. His grandfather, John Francis “Shano” Collins played for the Chicago White Sox (1910-1920) & the Boston Red Sox (1921-1925). He earned the name Shano as a deviation from the Irish name for John which is Sean. Shano Collins was born on December 4th, 1885 in Charlestown Massachusetts. He began his career as a first baseman but was moved to the outfield because he had one the strongest throwing arms in the league. He played outfield for the Chicago White Sox from 1910-1920, playing on two World Series teams. He was a career .264 hitter, with 1687 hits 22 HRs 310 doubles 133 triples 225 stolen bases a .306 on base % & 709 RBIs in 1799 career games played. He was atop the league leaders in many hitting categories several times. 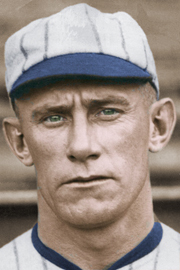 In 1917 he got the game winning hit in the White Sox pennant clinching game, then went on to hit .286 in the World Series as the Sox won the Championship. In 1919 he was a member of the famous White Sox (Black Sox) team that was accused of throwing the World Series. Collins took no part in the scandal & accused his team mates who did throw the games, of denying him almost $2000 in earnings. In 1921 he went to play for the Boston Red Sox through 1925. After his playing days, Collins managed the Red Sox in the 1931 & 1932 seasons. The next generation of Gallagher ball players was Charles Gallagher, a minor league player from 1937 to 1940. Bob Gallagher went to Stanford University & played base ball there with future MLB players Bob Boone & Frank Duffy. He was drafted by the Los Angeles Dodgers in the 17th round of the 1968 draft. The tall left handed outfielder, would be a two time Rule V draft player getting chosen by the Boston Redsox as well as the Houston Astros. He enjoyed success in the minors batting .307 with AAA Spokane in 1971 & then hit .292 at AAA Louisville the next year. After going hitless in seven games as a Boston Red Sox player, he went to the Houston Astros. He played 71 games for the ’73 Astros, batting .264 with two HRs & 10 RBIs as a reserve outfielder behind Cesar Cedeno, Bob Watson & Greg Gross. He saw more playing time in 1974 but dropped to a .174 average in 102 games (87 at bats). He was traded to the New York Mets in the 1974 off season, for former 1969 Met second baseman Ken Boswell. 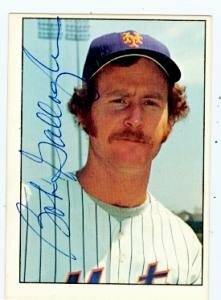 Gallagher had a brief Mets career, playing all outfield positions in 33 games, with only 15 at bats (2-15) batting .133. He debuted in the second game of the season as a pinch runner. He would mostly appear as a defensive replacement in the outfield or a pinch hitter. He was just 1-11 in that role. He spent most of Hune as well as July & August at Tidewater, hitting just .150, although he did get the September call up. His first hit as a Met came in May at Cincinnati against the Reds & the his only other hit came in the 160th game of the season at Philadelphia. He was traded in Spring Training 1976 to the San Francisco Giants for a guy named Leon Brown. Retirement: Mr. Gallagher as he is now called, has been teaching high school In Santa Cruz California for the past 25 years. 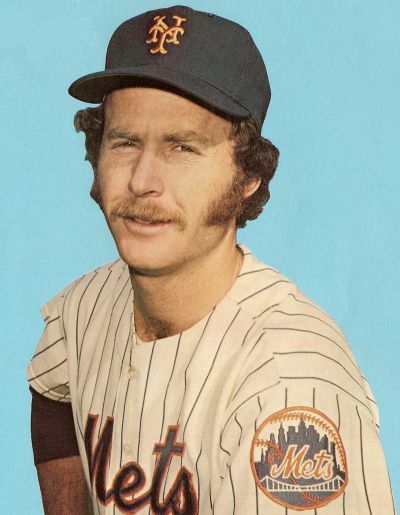 He lives forever on a 1975 Topps Mets baseball card, having played 213 career games over four seasons, batting .220 with 56 hits two HRs 6 doubles one triple & 13 RBIs.